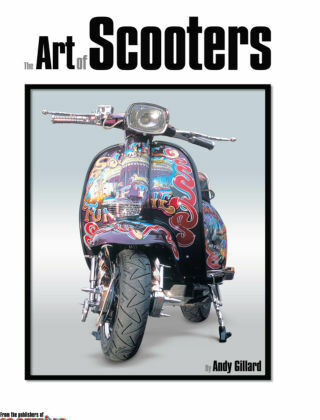 With Readly you can read The Art of Scooters and thousands of other magazines on your tablet and smartphone. Get access to all with just one subscription. New releases and back issues – all included. There are few, if any other cultures out there with as much passion for their transport as the scooter scene. From its birth in the 1950s to today, scooterists have nurtured and ridden their favourite scooters the world over and beyond. During this journey many have chosen to personalise their machines and the result has been a scene that’s as vibrant today as it was when the Vespa and Lambretta first mobilised the post-war masses. From custom paint to fine engraving; gold plating to engine tuning; heavy modifications to Mod inspired accessories; there’s enough here to keep the world’s art critics busy for years, and I’m proud to say that that some of the first, most innovative and the best, originated in Great Britain and are here in all their glorious colour!